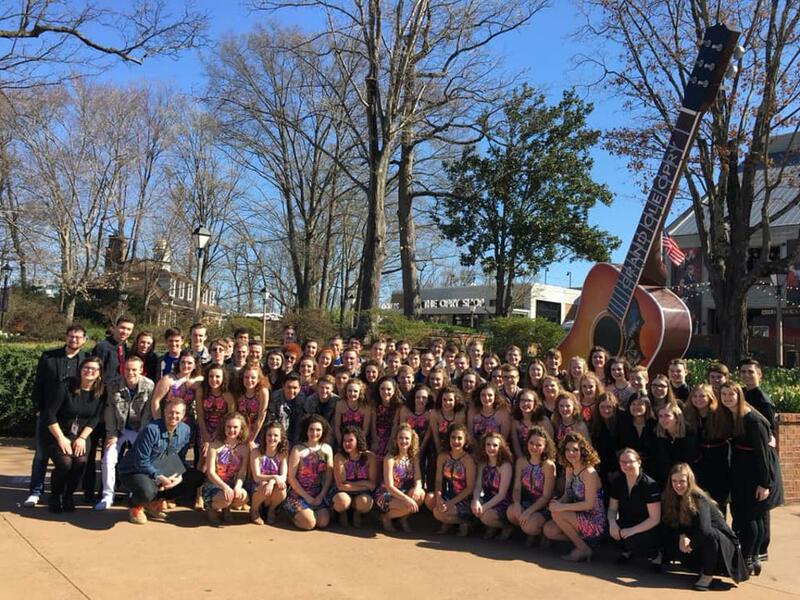 Riverside Company placed 5th runner up at Show Choir Nationals in Nashville, competing against some of the top choirs in the nation. They gave their two best performances of the year! Special congratulations to Sam Kelly and Eva Storkamp who received best male and female soloists. We are so proud of you! Thank you to Riverside Company, BUB, and crew for an amazing season. You will always be our Grand Champions! They are available in folders for each group with the starting photo being the image from the door to their Swingin' homeroom. Each photo is downloadable for free and there is a tool in the upper corner that allows for cropping of photos if you'd like to focus in on a particular performer. The photo quality will downgrade depending on how deeply you crop it. It was fun to see all the performers. Good luck with the rest of the Show Choir Season! Notice: The Hastings Show Choir Flickr Account will be discontinued on February 1st. ©2019 Hastings Show Choir / SportsEngine. All Rights Reserved.